What’s on your holiday breakfast menu this year? In my house, we’re absolutely going to include this delicious raspberry compound butter spread made with Finlandia™ imported butter! It’s easy enough to make for your everyday breakfasts yet classy enough to serve on special mornings. It even makes a pretty homemade gift idea! I’ve always wanted to try making compound butter but thought that it would be too hard. I think I was letting the word “compound” throw me for a loop. Doesn’t it sound like something that should be fancy and complicated? I imagined 70-step recipes involving things like cheesecloth and words like “reduction.” Can you tell I watch a lot of cooking shows? I was pleasantly surprised to find out that making compound butter really isn’t all that hard at all! In fact, this recipe has just four ingredients and took me less than 10 minutes to whip together (pun totally intended!). Check it out, then print out the recipe card so you have it handy for your big holiday breakfast! Do you have a favorite recipe using Finlandia? Share in the comments! I made this recipe with Finlandia imported butter. While, in theory, you can use any brand of butter, the rich and creamy flavor of Finlandia really makes a huge difference. Refrigerate for about half an hour, until it’s just set. Garnish with raspberries if desired. Spread on biscuits, toast, muffins, waffles and anything else your heart desires! 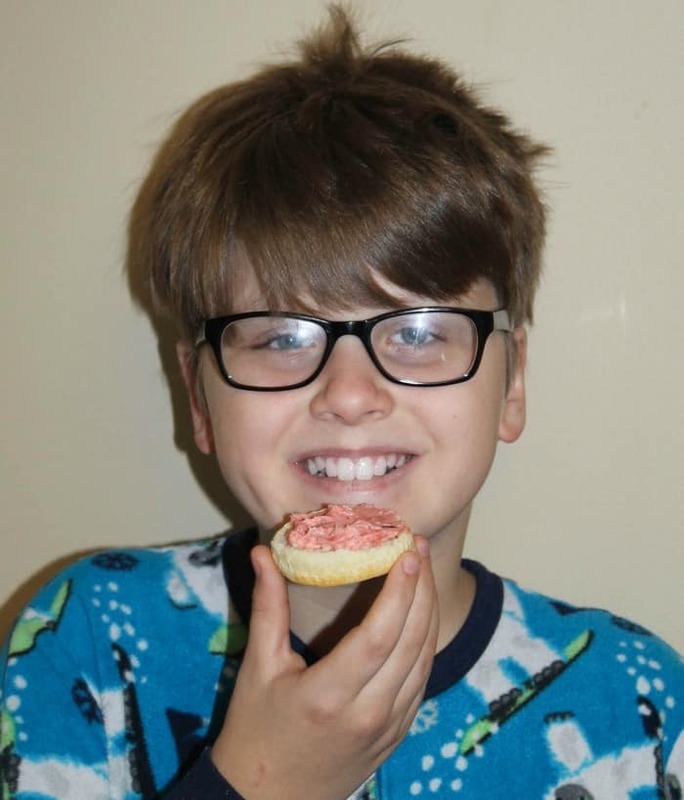 Even my picky son loved the flavor of this raspberry compound butter recipe. He’s quite the butter connoisseur, and he agreed that the Finlandia is the richest and creamiest that he’s ever tasted. Refrigerate for about half an hour, until it’s just set. If you forget to take the Finlandia out of the fridge and don’t have time to wait for it to come to room temperature, just pop it in the microwave for about 10 seconds, then flip it over and microwave it for another 5 seconds. Repeat at 5-second intervals until it is soft enough to work with. Finlandia butter is creamier (in my opinion) than other generic butter that I’ve used, so it only took about 20 seconds to get it to the point that I wanted. Keep that in mind, as you do not want to turn the butter into soup for this recipe. The Finlandia butter really does make this taste phenomenal. Did you know that it’s made with the purest milk from Finnish family-owned farms? My husband loves that since he’s half Finnish (the other half is Swedish). Finlandia has been making butter and cheese in Finland for over 100 years, so they definitely know their stuff. You won’t find any artificial ingredients or added hormones in their products. One thing I really love (aside from the amazing taste, of course) is how well the Finlandia farmers treat their cows…just like family. They even have a series called Moo Monday on their YouTube channel that highlights just how much the farmers appreciate and love their cows! This makes me so happy, since eating humanely is very important to me. Finlandia is hosting Influencer Recipe Contest on their Facebook page featuring 25 influencer recipes – including ours! The winner will receive a vacation to Finland. My husband would be overjoyed, he’s always wanted to see his “homeland!” While that’s good news for me, maybe you’re wondering what’s in it for you. One lucky voter will be picked to win a $1,000 Visa gift card! Pretty awesome, right? Later this month, we’ll also be sharing a delicious recipe using Finlandia Cheese, so be sure to come back and check that out! In the meantime, visit Finlandia on Pinterest, Twitter and Instagram for more inspiration. Don’t forget to vote in the Facebook contest! Oh wow. This sounds absolutely amazing and sounds so simple to make! Why haven’t I made this before?? This recipe is so pretty. It would be nice for a holiday brunch. That would be amazing on some toast! I never realized it was that simple to make delicious butter! YUM! This looks delicious. I can think of so many scrumptious ways to use raspberry butter. That looks delish! I think that would also be perfect on bagels. Yum! Can’t wait to try it! I’ve never tried making raspberry butter before! I’ve made only savory ones in the past. I think this is a brilliant idea and it’s perfect for pancakes and waffles! YUM! I’ve never made my own flavored butter before. Doesn’t sound hard at all! I haven’t used Finlandia butter. This dip looks amazing. It would be great with strawberry too. I have had compound butter before but never realized how easy it was to make! I will definitely have to try this for myself! I would love to give this a try. It looks yummy especially if you have freshly baked bread. I like that it’s creamy. I’d definitely be open to trying it too! We love Finlandia and this looks like such a fun recipe to create! Can’t wait to try it out with my kids! I’m sure it will be DELISH! This sounds super amazing. I would love to have this on my bagels and know it would be a big hit. 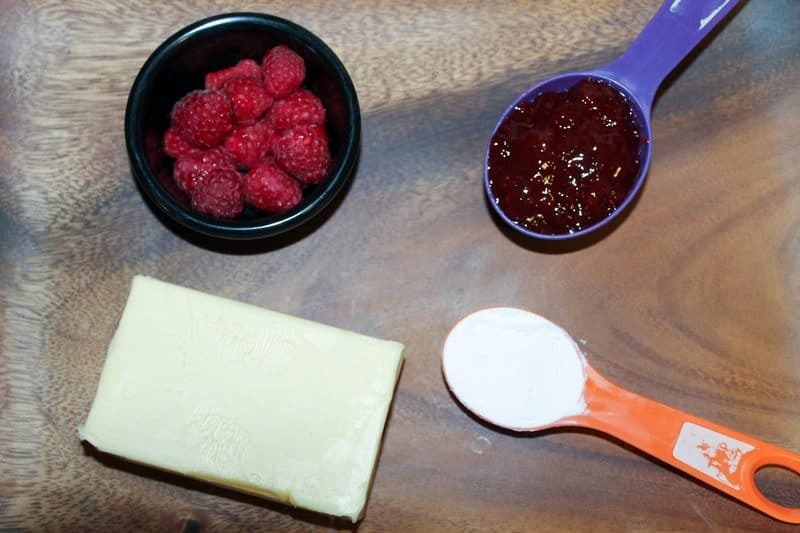 Raspberry butter sounds delicious! It would work on a lot of stuff! OMGoodness I’d love this on some warm biscuits. The creamy butter and fruit would be delicious. This looks like a delicious recipe to try. I think it will be a big hit with my family. I can’t wait to whip up some of this! I can see having this for breakfast every morning with my bagels. 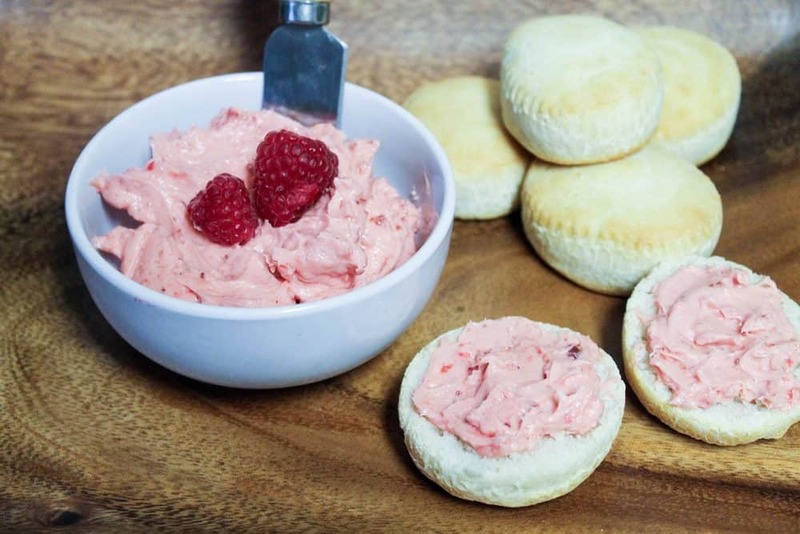 I’ve never made strawberry butter before but this looks so yummy. I’m sure my kids would love this! This looks like a perfect snack for my kids! 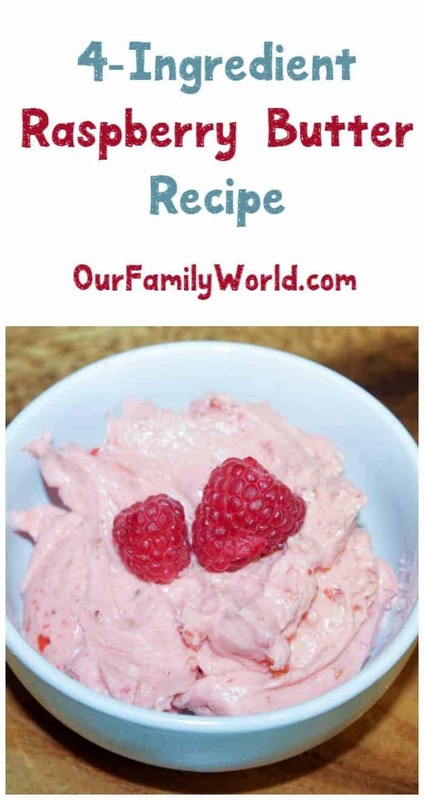 My son loves raspberry, he will surely love this! I wanted to do this ive never tried making Finlandia! This is interesting. Never in my life have I heard of compound butter but it looks easy to make. This sounds delicious and it’s so easy to make! I wish I had the ingredients on hand to make it right now. Good thing tomorrow is shopping day. 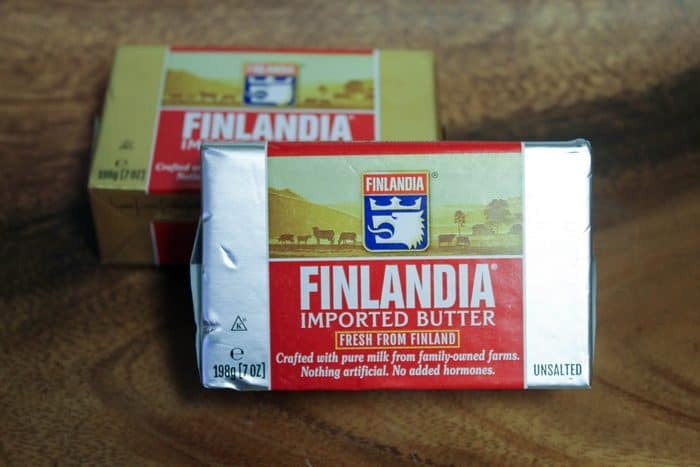 I love Finlandia butter! It’s delicious and I think it’s a really great price! 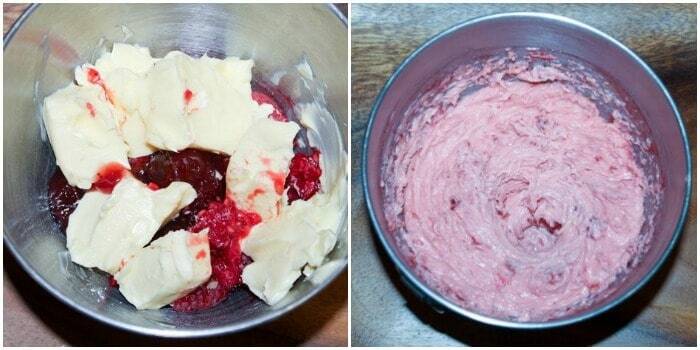 The raspberry compound butter sounds (and looks) so tasty. I’m impressed with how easy it is to put together, too. I printed the recipe twice – one for me and one as a tuck-in for a friend’s birthday card tomorrow. She’ll love it! 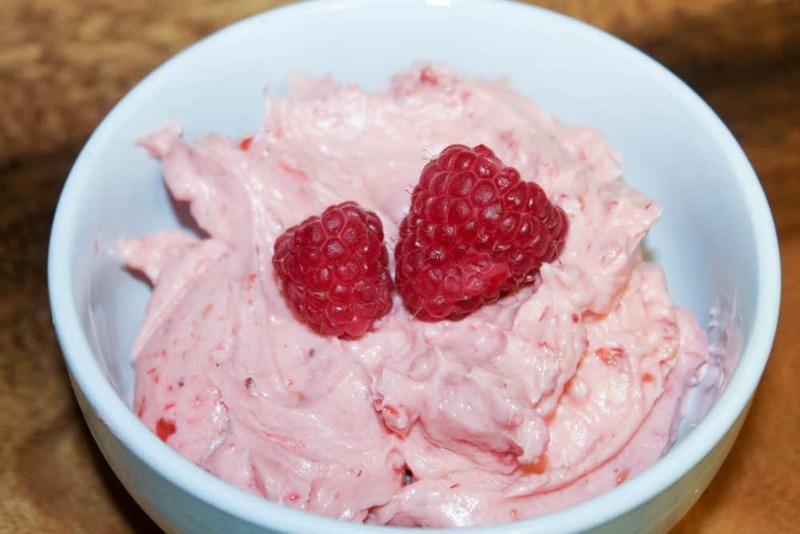 Raspberry butter sounds very delicious! I would love it on my bagels. I have a friend who mentioned something about compound butter and how she wanted to give it a try and I, too, thought it would be a much more complicated process until I looked into it. This one you created looks absolutely amazing! Love how easy it is, too. I have never used FInlandia before, but wow this so good! I am always having a biscuit or muffin for breakfast and this would be a perfect way to change it up. So going to try this. Oh this would be fun to make for a brunch! It looks great and the raspberry flavor sounds amazing. This looks absolutely heavenly. My kids would love it. I love compound butters. 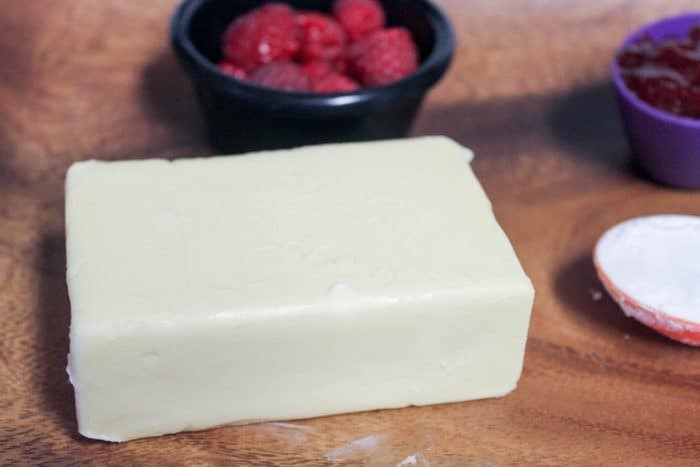 I haven’t made a raspberry compound butter before. I bet it is great on scones. oh that sounds so good, I would have never thought of this. We are english muffin and bagel for breakfast people and this is a way to jazz it up a bit! This looks sooooo good! I am going to whip some up and try it on my morning english muffin. Yum! Boom! I see exactly what I’m putting on my bagels and english muffins from now on. That looks awesome! Hoo boy, that sounds delicious. I will definitely be putting this on my bagels from now on.